Can you please explain in detail what you mean by entries are not automatically downloading to dropbox? One form downloads to dropbox. So i have two campaigns. Campaign #1: downloads to DB automatically. Campagin #2: set to download to my DB but does not. 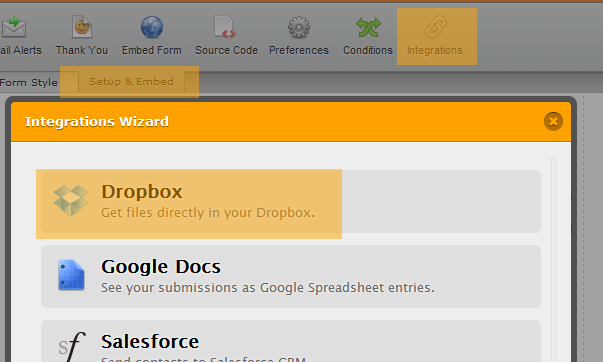 Your other form (snap image upload) is currently NOT integrated to Dropbox. Kindly double check your settings and re-do the integration if needed. Keeps telling me it is. Shall try again and get back to you ok.